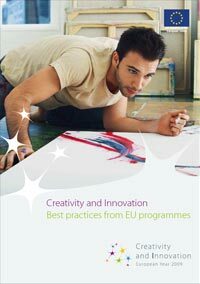 The E-games project is among the 20 projects, selected to participate in the Conference – Exhibition: Creativity & Innovation – Best Practice from EU Programmes . It was organized by the European Commission and took place in Brussels on 2 and 3 March 2009. This event explores and identifies examples of best practices among projects that have received funding within several European Union programmes and funds. The conference was accompanied by a special exhibition showing the results of 20 star projects from around Europe that are good examples of the EU contribution, highlighted by the European Year of Creativity and Innovation 2009.